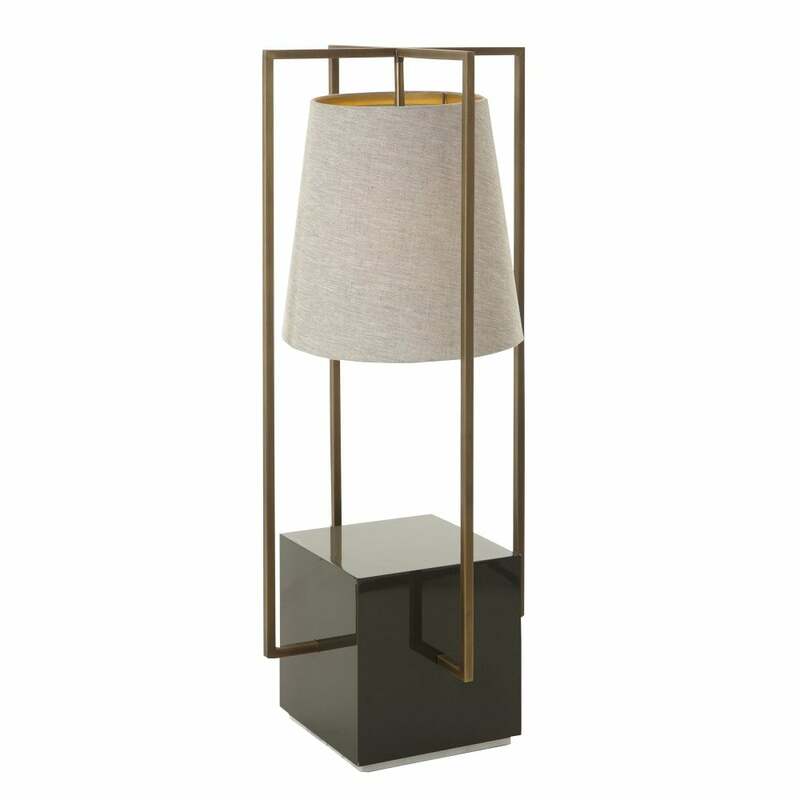 Part of the Thomas Griem collection for RV Astley, the Hurricane Floor Lamp will add a touch of elegance to its interior surroundings. Available in both nickel and antique brass finishes, this eclectic design combines a mid-century modern style with a nod to classic hurricane lantern shapes. Mounted on a marble and lacquer finish base, four brass arms surround a suspended shade lined in a luxurious gold fabric for a warming glow. Inspired by antique lamps from a bygone era, this large floor lamp lends itself to a range of interior schemes whether traditional or contemporary. Style with the matching table lamp and wall lights for a cohesive scheme. Make an enquiry for more information.